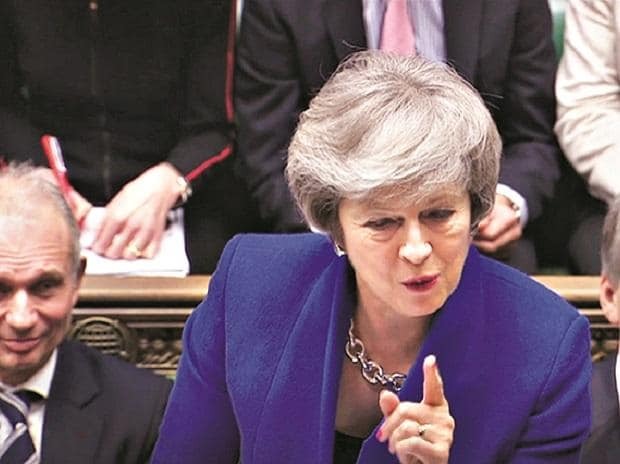 British Prime Minister Theresa May's Downing Street office said Sunday that reported plots for parliament to seize control from the government over Brexit were "extremely concerning". Downing Street blasted reported moves by lawmakers seeking to rewrite the rules of the House of Commons in an attempt to take control of the business of the lower chamber in order to frustrate May's Brexit plans. Groups of MPs are planning to table such amendments this week, newspapers reported Sunday. "The British public voted to leave the European Union and it is vital that elected politicians deliver upon that verdict," a Downing Street spokeswoman said. "Any attempt to remove the government's power to meet the legal conditions of an orderly exit at this moment of historic significance is extremely concerning. "This news should serve as a reminder to those MPs who want to deliver Brexit that they need to vote for it -- otherwise there is a danger that parliament could stop Brexit." May is due to spell out to lawmakers on Monday what her plans are now for Brexit following MPs' overwhelming rejection of the divorce deal agreed between London and Brussels. Lawmakers are set to table a series of various Brexit amendments this week to test their support in the Commons. May was due to hold a conference call with senior ministers to update them on her talks with other political parties in the wake of last week's landslide vote. International Trade Secretary Liam Fox warned of a "political tsunami" if MPs fail to deliver on the 2016 referendum vote to leave the EU. He also slammed people calling for May to rule out a no-deal Brexit -- a key demand of the Labour main opposition -- saying the "most stupid thing possible" in a negotiation is to "give away your strongest card". "Failure to deliver Brexit would produce a yawning gap between parliament and the people, a schism in our political system with unknowable consequences," Fox, a senior pro-Brexit cabinet minister, wrote in The Sunday Telegraph newspaper. "It is time for MPs to deliver on the promises they made. It is a matter of honour and a matter of duty.